CarGurus has 371 nationwide xD listings starting at $2,995. The compact hatchback named like the web emoticon for a huge closed-eye laughing grin is probably taking its last laughs for 2014. Although no recent confirmations of its demise exist, let alone specifics on what year it's supposed to bow out, the xD is almost certainly riding into the sunset, since the rest of Scion's lineup gets a few genuine updates for 2014, but the xD joins the rest of the maker's lineup in celebrating its 10th year with just a few cosmetic touches added in a special limited edition this year and is otherwise unchanged. Scion was expected to debut its replacement at the 2013 New York Auto Show, but only 2 sedans made it to its part of the show floor. Altogether, the xD's future does not look as bright as its nameplate's smile. The xD was never a mainstream favorite, trailing every other Scion model in sales by a margin of at least half, but the xD has a habit of making drivers' faces match its moniker. On the downside, drivers of older models note the xD doesn't age very gracefully—fuel economy starts to dip, the engine talks a bit louder, and like anything else approaching 8 years on the road, the body loses its fitness. Not that Scion's entry-level budget box offered spectacular fuel economy or an exceptionally quiet cabin in the first place. The xD's little 1.8-liter four-banger pumps out 128 hp and 125 lb-ft of torque for a 0-to-60 in a compact-stellar 8.4 seconds, but the resultant 27 mpg city/33 highway with either a dated 5-speed manual or 4-speed automatic is more reminiscent of a bigger engine—or at least a body with more front legroom. With about 10 other similarly priced 5-door hatchbacks to choose from with better fuel economy, more gears and more than 35.7 max cubes for cargo, the xD fell far from the limelight when it debuted for 2008 and never really recovered. Its fall from the forefront was so fast, Scion is reportedly thinking it may never make another like the xD, and so far that's looking to hold the most truth of all the rumors. Nothing at the auto show. No sneak spy shots. No new partnerships with other makers for a compact hatch. No new platforms that would carry a 5-door. Nothing. These last years of the xD, however many there may be if there is to be another year beyond 2014, are almost certainly your last shot at a fresh 5-door out of Scion with a lively driving spirit, if also a few quirks. For instance, the seating position is a bit non-traditional, taking on more of the command-like upright stance of an SUV, but the steering wheel only tilts, leaving some taller drivers short on knee room. Its dash will also take some patience, as you'll need to get used to a speedometer that rotates clockwise toward a counter-clockwise-spinning tachometer needle in the same gauge. Other than that, the xD is a peppy little urbanite equipped with 16-inch steel wheels, air conditioning, cruise control, full power accessories, Bluetooth connectivity and a 6-speaker stereo with CD player and iPod/USB connectivity in its lone trim. All options are installed by the dealer and range from a rear spoiler to a sound system upgrade including a 5.8-inch LCD touchscreen and satellite radio. 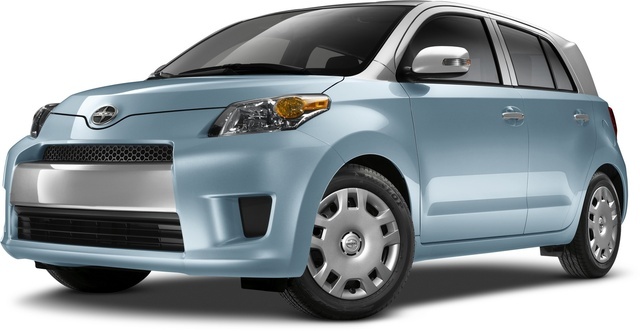 What's your take on the 2014 Scion xD? 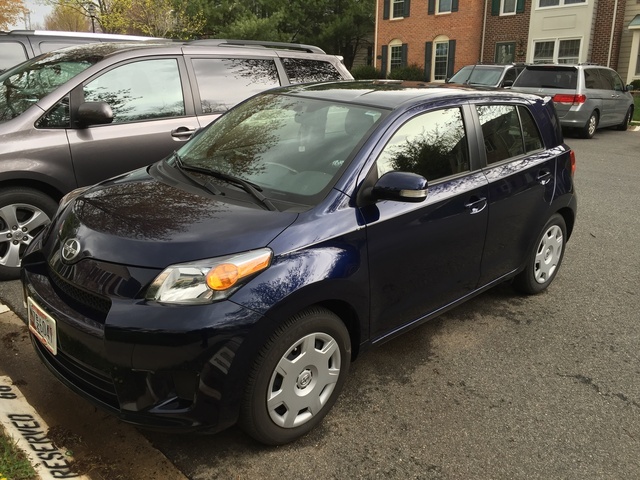 Have you driven a 2014 Scion xD?